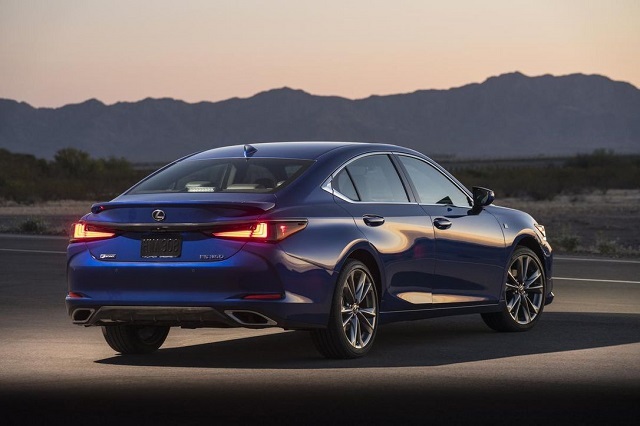 Despite it has been around for years, the current generation of this mid-size luxury sedan is still one of the best models you can find in this class. Thanks to the 2015 update, the GS manages to compete with much younger rivals, due to the fact that it features an impressive interior quality, powerful engines, extremely long list of standard features and several more strong points. Considering that the current model rides for almost eight years, it seems normal that many people speculate about the redesign. At this point, we are still waiting to hear some words from the officials on this topic. Therefore, it seems more likely that the 2020 Lexus GS will continue in the same way, without bigger changes. The launch should be scheduled for the end of the year. On the other side, the redesign will have to wait for a little bit more time. This sedan has so many things to offer and it’s no wonder people still considering great, despite the fact that the current generation rides since 2011. Obviously, it rides on the New MC platform, as most of the previous-generation models from the Japanese manufacturer. Therefore, it may not feature the best handling in the class. However, it is still a very interesting car to drive, as it features powerful engines, which ensure pretty good dynamics. As we already mentioned, the 2020 Lexus GS shouldn’t feature any important change. Therefore, count on a familiar look, which has been updated in 2015. This refresh included various styling upgrades, especially at the front, where we saw a completely new face. So, it’s no wonder that the current model still looks very fresh. The styling will remain untouched for the next year, though we won’t exclude the possibility to see a couple of new color options in the offer. This is probably the strongest point of this sedan. 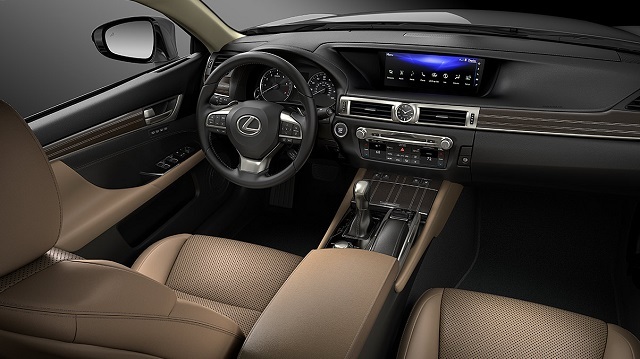 Typically for Lexus, the overall cabin quality is impressive. All materials feature hi-end quality and there aren’t many rivals that can match its refinement. Besides excellent quality and plenty of styles, this car also offers amazing comfort. Front seats are very massive, with excellent support. Finding a perfect driving position seems effortless in this car. The rear seats are also generous in space and offer amazing comfort. Another strong point is the cargo room. Although a premium car, it offers very impressive numbers when it comes to cargo volume. You can count on 18.4 cubic feet in the trunk. As we already mentioned, this sedan offers an impressive list of standard equipment. When it comes to tech features, the only complaint goes to the infotainment system, which is a little bit complicated to use. Also, you can’t get Apple CarPlay and Android Auto. When it comes to safety features, the 2020 Lexus GS will continue to be one of the leaders in the class. All models will be equipped with things like a pre-collision system with pedestrian detection, adaptive cruise control, automatic high beams, lane keep assist and lane departure warning with steering assist. In higher trims, you can also get advanced systems like blind spot monitoring, rear cross traffic alert, head-up display and many more. The 2020 Lexus GS will continue with familiar engines in the offer. A hybrid version has been discontinued recently, so you can count on gasoline units only. Base models come with a 2.0-liter turbo-four engine, which is good for about 240 horsepower and 260 pound-feet of torque. Mid-range options usually come with a well-known 3.5-liter V6, which in this case delivers around 310 horsepower and 280 pound-feet of torque. You won’t get wrong with any of these two. The V6 is a little bit peppier, while the four-cylinder offers better mpg ratings. Both are good choices. 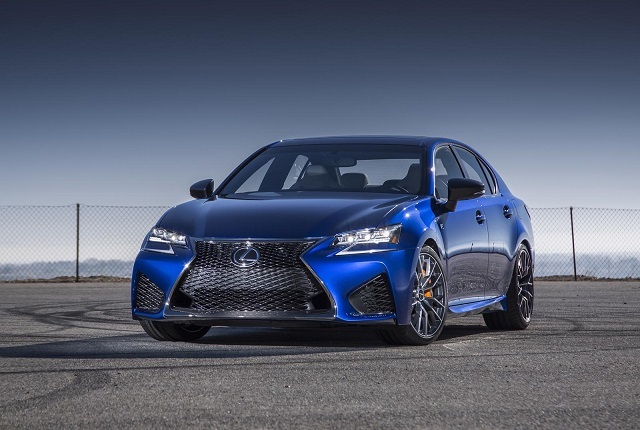 If you want sporty performances, you can go for a large 5.0-liter V8 engine, which will be reserved for the 2020 Lexus GS F version. It delivers around 467 horsepower and 390 pound-feet of torque. Besides plenty of power, it also comes with several chassis and suspension upgrades, so you can bet on excellent performances. Given the fact that there are no bigger changes to come for the next year, expect to see 2020 Lexus GS sometime late in the year. The base 2020 Lexus GS will go around 46.000 dollars. Models with a V6 engine start at around 51.000 dollars. Finally, if you want to get 2020 Lexus GS F with a V8 engine, it will cost you at least 84.000 dollars.